This article explains exactly how it's done. 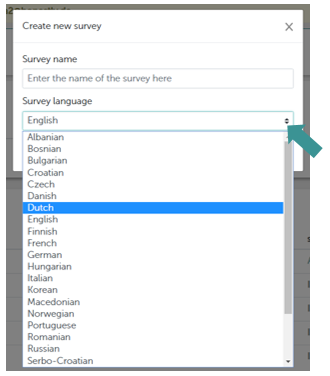 You can create your survey in one of over 20 languages. Here is a list of all of the languages supported by our software. 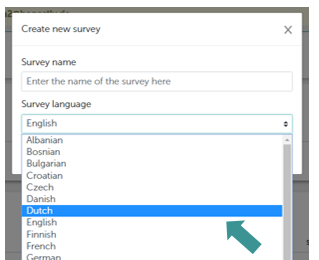 If any of the other languages are selected for a new survey, this button will appear in English. Read about how to customise the email template here. If you create a custom survey in Dutch, you can now use the Honestly templates when adding new questions. Read exactly how to create a new survey here.